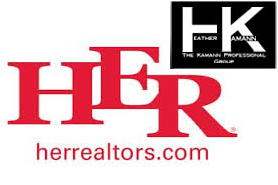 10/22/13 & 10/23/13 - Heather Kamann hired us to produce video tours for two of her real estate listings. We provided aerial videography, interior videgraphy as well as a ground panorama shot and post production of the videos..
Tartan Fields Is a beautiful neighborhood situated in Dublin, OH. Aside from the enormous, well built houses, the main draw of this Neighborhood is the Tartan Fields Golf Course. As you see in this video we got some beautiful fall footage of the course which is literally 75 feet from the door of the house. The main difficulty in shooting this house was the fact that it is north facing, which means no good lighting. However it is a beautiful house and for a real estate video relatively easy to show off the beautiful architecture. One of the major challenges of the Centerburg, Ohio property was the trees. Getting goods shots and flying through the woods requires a steady hand on the controls and working with your environment. There was so much we wanted to show but when you have to edit a video down to 2 minutes or less it forces you to sacrifice a lot of footage. 7497 Tartan Fields, Dublin, Ohio 43017 from Aerial Image Solutions LLC on Vimeo. 325 township Rd 16 Centerburg, OH 43011 from Aerial Image Solutions LLC on Vimeo. This is a beautiful house!